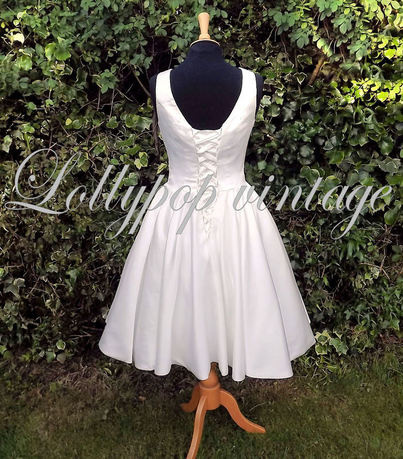 Our beautiful Audrey inspired dress is perfect for any 50's themed wedding. 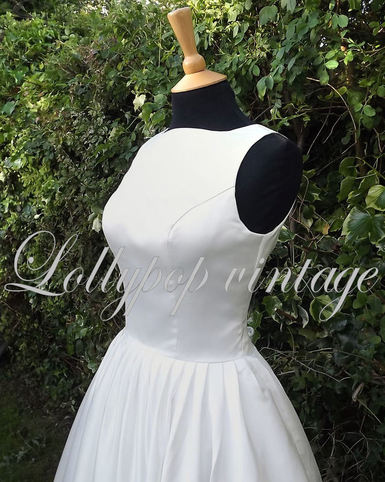 Made with thick bridal satin, featuring a high neck corset back and boned bodice. Team up with one ouf our netted underskirts for the full vintage look! All for under £100!